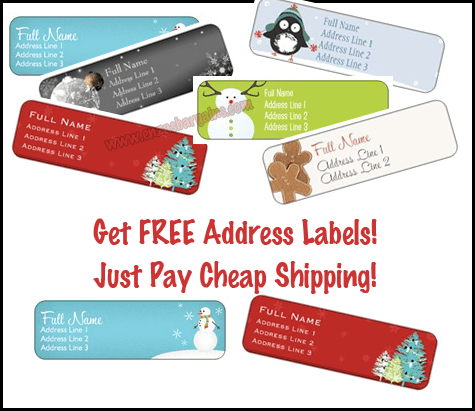 You are here: Home / Free / FREE Holiday Labels: Just Pay Cheap Shipping! FREE Holiday Labels: Just Pay Cheap Shipping! It’s BACK!!! Score some FREE Holiday Labels and just pay shipping! Shipping starts at ONLY $3.69! Use them for your packages, your christmas cards, or make a gift for your kid’s teachers! “This Belongs To Mrs. Teacher” Labels! HURRY this offer won’t last long! Visit Vistaprint Holiday Coupon Sale today!